Model T Ford Forum: E-Timer Operates on Magneto! Model T Ford Forum: Forum 2013: E-Timer Operates on Magneto! 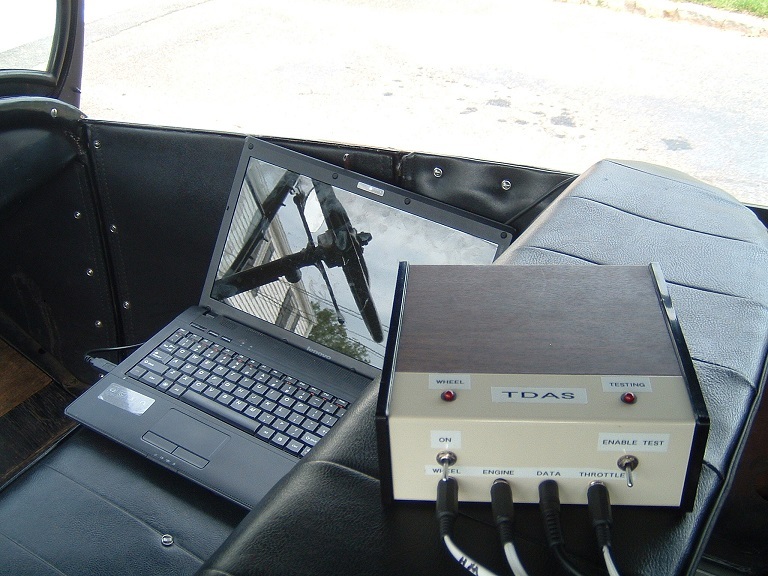 Here is a photo of the TDAS in operation. I designed the TDAS to definitively know the unbiased performance of various Model T performance options. Primarily for the development of the Electrically Cranked Coil Tester (ECCT). I plan to share more details about both of these topics in future articles. Powering the E-Timer solely from magneto power does require a small AC/DC power converter as Les and others have previously commented. I designed and developed an efficient Model T AC/DC power converter back in September of 2009 but never pursued it due to the increased cost with limited need. Hopefully, this demonstration will ease the criticism of the E-Timer and its divisive standing. This is very interesting! Just to make sure I understand what you wrote, those of us who run an E-Timer can omit the fuse jumpers from our coils? Will they sound like a normal set of coils? I would not care to try this without hearing it from you. How much extra will it cost to power the E timer by magneto? Wow, Mike, that's Great !! Like Uncle Don said on his kiddie's TV show in the '50's when he thought he was off camera - " That ought'a keep the little Bastxrd's quiet now "
Let me be among the first to congratulate you. No damage will be done by operating the E-Timer with coil points that have not been bypassed with fuse jumpers. 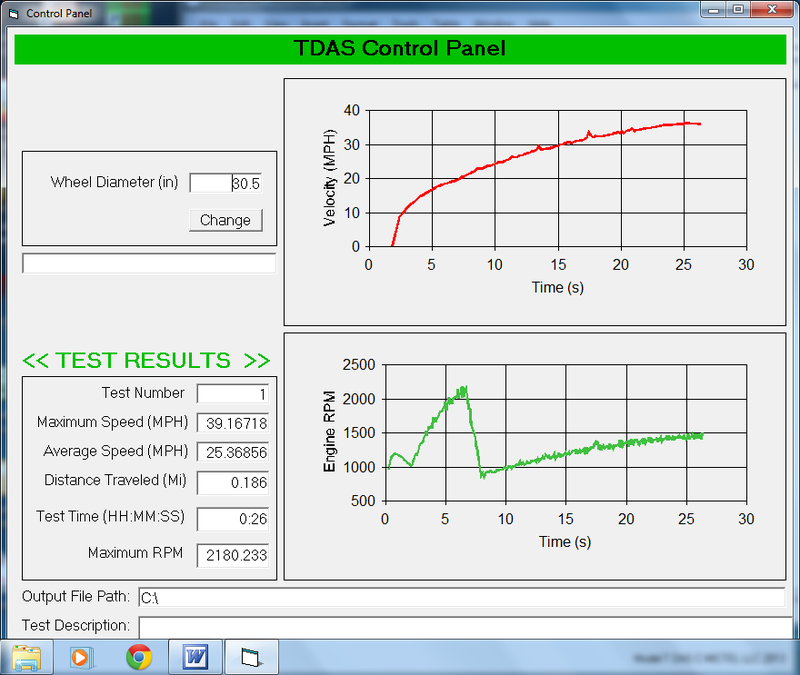 Performance, however, may not be as good if the coil points don't have good contacts or are improperly adjusted. In essence, circumventing the E-Timer to deliver the performance it was designed to deliver regardless of the condition or adjustment of coil points. This is the reason I don't promote doing so. I have been thinking about all this and have another idea. Please feel free to correct me if I am wrong as I am a mechanical engineer. Is it possible to electronically switch AC? I realize most semiconductors work on DC. My thought being if the AC from the mag could be still used to run the coil and only the triggering circuits run on DC? Probably not practical but I thought I would throw it out there. Anyway all the best on your latest experiments!! Does it run directly on the mag AC power or is there an external AC to DC converter? Can the car be hand started on mag power using the E-Timer as it can be started on mag power with the original system without a battery? Your curiosity and creativity is outstanding! Since you're not making anymore,it is kinda a moot point. Every 6 months or so BOB stirs the pot on e-timers and gets Royce all fired up. It is getting old and should be dropped.JMHO. If you are that poor, go get yourself a pedal car!!! Royce, your whining is nothing but pure entertainment now and I'm sure your pigheadedness will provide us with years of laughter at your own expense. You bellyached like a spoiled brat wanting his ball back about some induced dream of a disabled magneto. Now with that twisted babble laid to rest you're back on the price ... which is probably where the piss in your cornflakes came from in the first place. If it will help, I will offer one cent towards the cost of buying a timer if someone will offer theirs for sale and no doubt the goodwill of the other normal people here will see that enough money is raised to help out such a deserving soul. Still, that first cent is 99 hundredths more than you're worth. Les, the greatest modern-day leap in locomotive technology is AC control which can provide immense tractive effort as compared to DC and nearly banished wheelslip. To control AC you use Triacs. Back in the early 90's I built a circuit board for my trusty C64 computer to run the outside Christmas light display on the house. The kids loved it - the neighbor said he'd get dizzy if he watched for too long! I appreciate all the support and encouragement but my intent in conducting the E-Timer magneto powered demonstration was to remove the focus of bitter debate and unfortunate behavior that often accompanied it. I've decided not to correspond with those who have earned my disrespect for the way they conduct themselves on the forum. Mike, I don't think we are dealing with debate or facts, just highly charged opinions. I think it is a good thing that you have found a way to power your timer with the mag. I assume it is set up to run with either mag or battery power with just the flip of the switch? A redundant system is certainly a good thing. I asked a simple question. How much does it cost to run an E Timer on Magneto? It's hard to compare an E Timer that runs on Magneto to any other timer if we don't have any data on the cost. Again, I ask polite questions that are not intended to denigrate or insult anyone or anything. Obviously it probably doesn't matter since there are no plans to mass market such a device on this website (LOL). The AC/DC power converter simply installs in series with the magneto wire and shares a common ground. The car is started on battery and then the key is switched to Mag as per common operating practice. Ignition performance retains all the advantages of E-Timer operation running on 12V battery in addition to the benefit of self generating, self sustaining and limitless magneto power without the 22.5 degree timing restrictions imposed by magneto power. I don't profess this configuration is equivalent to stock operation, its not. Internal functionality is completely different and requires the obvious addition of a non-stock, AC/DC power converter. There are much better ways to do things if you waive the confines of operating within the original Model T infrastructure. That's why I never pursued it any further. I do recognize the novelty of being self powered as a key characteristic of the original ignition system and wanted to demonstrate it can easily be done using an E-Timer and curtail its most divisive trait. IMHO, the biggest problem with the E-Timer has been all the back and forth bitching about it here on the forum. On the one side, we have a designer who is a compete jackass to anybody who doesn't support his products. On the other side we have a few people who are complete jackasses to anybody who promotes an aftermarket part that doesn't fit their personal idea of what a Model T should be. The whole situation is pure insanity. Aw, gee, well, uh. I know nuttin about deese timer-coil things. Guess I'll quite reading all this stuff and go work on my Chevy. Nice work actually. No minds will be changed but I don't think you really expected that anyway. When do you expect to market the ECCT? Any idea of the price range? Still in Beta test to make absolutely certain the ECCT method of coil point adjustment provides equal or better performance than established and accepted methods of coil point adjustment. The TDAS was designed for that specific purpose because of the difficulty Beta testers have reported in trying to discern performance differences.